Today, Brighton born Juliet Smith who still lives in the city, was sworn into the ancient office of High Sheriff of East Sussex. 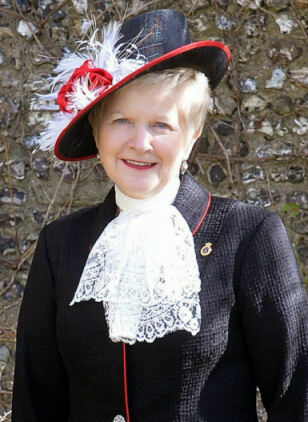 In a ceremony in Lewes attended by Peter Field, HM Lord Lieutenant of East Sussex, she made her declaration of office before Baroness Hale, Deputy President of the Supreme Court. The office of High Sheriff is one of the highest secular offices in the country. In Saxon times the ‘Shire Reeves’ as they were known then, were directly responsible to the crown in respect of law and order and tax collecting. Clearly the duties of the role have evolved over time, but supporting the Crown and the judiciary remain central elements of the role today. As the Office is independent and non-political, High Sheriffs are able to bring together a wide range of people within the community they serve.